It may surprise some people that the actual writing of a blog post is probably the easiest part of blogging. Preparing for writing blog posts takes planning, research, and dedication long before actually putting the pen to paper or in this case fingers to keyboard. Even writing frequent and short posts take effort beforehand to hone skills and techniques. Blog readers can be demanding individuals. They expect the best when it comes to information and they’ll let you know if you’re blog isn’t living up to their standard…they’ll let you know by not reading your posts. Here is the process I generally use when writing a blog post. The examples are from Country Music Life – a country music news and artist info site. For CML I wanted to write about topics country music fans were interested in reading about. 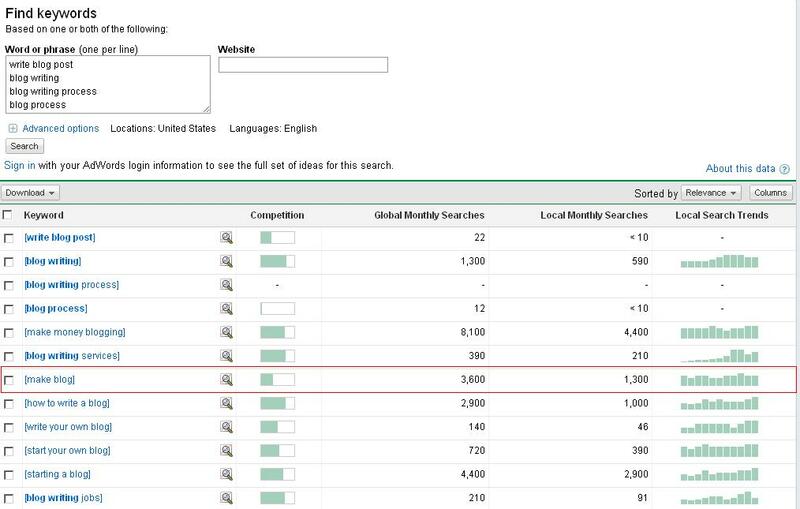 The tool I use for keyword research is the AdWords tool Google offers for free: Google Keyword Tool. For CML I type in something like ‘country songs’ and scroll down on the left and select Exact to bring up the traffic for each exact term relating to ‘country songs’. The tool provides great suggestions for related terms as well. I saw the keyword phrase ‘sad country song’ had a thousand or so exact searches each month in the US and it didn’t look to have too much competition. I wrote a five-part series that included a list of the 50 saddest country songs as I rated them with a little description of each song. I altered the title tag using a WordPress Plugin so I could further target the phrase. I also adjusted the URL to be optimized for the term ‘sad country songs’. Finally I used an H1 tag around the heading ‘Sad Country Songs’. These are ways to let the search engines know that this post is about Sad Country Songs. A little while later the post found its way to the first page of the results for Sad Country Songs. It’s been a good source of traffic and is the blog’s most viewed post. Before starting CML I often read song and album reviews on country music sites. There are great writers that share their opinion on new country music. It’s a great way for fans to preview music before deciding if they want to acquire the songs themselves. 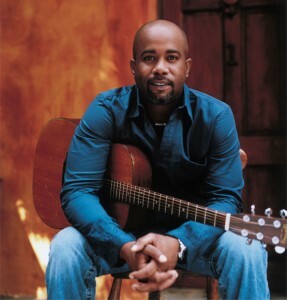 A few months back country music singer Darius Rucker released the first single from his second country album. After 3 number one hits on his debut album and another top hit there was sure to be a lot of buzz around Darius’ sophomore country set. The former Hootie & The Blowfish lead man released the single called Come Back Song. It was an interesting title for a song. I like making the title of the posts something catchy or unique. I’m not the best at it but I think Another Come Back For Darius Rucker was interesting. Interesting titles seems to draw more attention on sharing sites. The format was meant to attract attention for the term ‘Darius Rucker Come Back Song’. I added the word ‘new’ for those people searching for something like ‘New Darius Rucker Song’. The URL for the post was /darius-rucker-come-back-song/ to capture the same keyword phrase. I also wrapped the phrase in a heading tag within the post to let the search engines know what the post was about. After a bit the post made it to the first page and as of this writing is still there: Darius Rucker Come Back Song. The post has over 6,000 views right now and that’s just in the past few months. The flipside to this post is that interest in specific songs wears off over time. There is a cycle for songs as interest builds and the song climbs the charts. Once the song peaks though interest falls off. Thus traffic has fallen off for the post. But the template works well for new songs being released so it’s an ongoing process. Now, keyword research is great for search engine traffic, but there are other kinds of traffic to consider. Some articles on a blog will garner attention by being controversial or simply having an opinion on a topic people are passionate about. Here is an example of a post I wrote for CML that was not targeting any specific keyword. This post did get reaction from the fans of the artist the post was written about, which lead to traffic from a fan forum. Is Carrie Underwood The Greatest Of All Time? This post was published back in June. I think I had the idea to write the post after watching the CMT Award show this summer, but I can’t remember for sure. Anyway, I thought it would be interesting to write about the fact that Carrie Underwood is racking up accolades, album sales, and number one hits like no other female country music artist in history. Even though she’s in her 20s I thought it could be argued that she is already the greatest female country artist of all time. When I wrote the post I was hoping it would create a little (obviously not major) controversy about whether Carrie Underwood was the greatest of all time. Some of her fans thought that she was. Others thought it would take some time yet. This post wasn’t based on a search term that high traffic. Although I did optimize it for ‘Carrie Underwood Greatest All Time” just in case there is more discussion in the coming years about the topic. 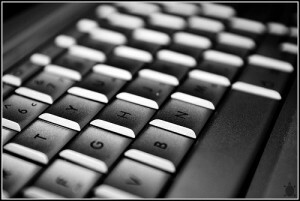 There is more than one way to successfully write a blog post. I’ve found success with keyword research and controversy. Others have found success doing similar things. Some take the controversy to heart and go full into giving their opinion on polarizing topics. This usually makes for popular blogs with lots of followers. Following the thought process for writing about controversy has worked for me on a few occasions with CML, but I’ve had the most success with targeting specific keywords. It’s a strategy that can work well for your business blog as well. Write about what your customers are searching for and get them talking about a controversial topic as well. It may lead to traffic, discussion, and possibly even sales. I chose ‘make blog’ since it had pretty good traffic and not too bad of competition. It also seemed like one that was fairly relevant to the overall appeal of Ghost Blog Writers.